They have become part of the tradition — and a big part of the event prep work. These would be the ornate cloth butterflies that have come to symbolize BusinessWest’s Difference Makers program — and decorate the ceiling at the Log Cabin & Banquet & Meeting House in Holyoke on the night of the awards ceremony. These colorful insects were chosen as the imagery for Difference Makers as a nod to something called the Butterfly Effect, the theory that small and seemingly inconsequential actions, such as the flapping of a butterfly’s wings, can have broad, and even global, impact. • Anthony Scott, police chief of the city of Holyoke. 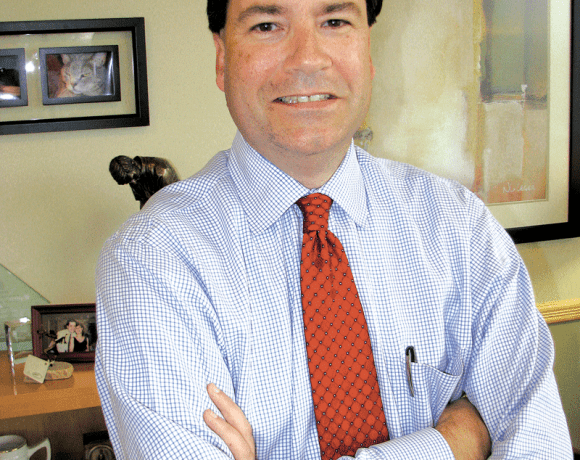 BusinessWest Editor George O’Brien said the honorees for 2011 demonstrate the many ways in which an individual can make a difference in the region. “In Chief Scott, we have a police administrator who likes to say that he made that the cost of doing business in his city too high for criminals, thus forcing them out of town or into a different line of work,” said O’Brien. “And in Lucy Carvalho, we have someone who survived breast cancer and then created a walk that has raised more than $18 million for research and services for breast-cancer victims. “Meanwhile, Tim Brennan authored the region’s Plan for Progress, giving it a blueprint to follow for several decades as it works to remain competitive with other regions,” O’Brien continued. “Don Kozera’s leadership has enabled Human Resources Unlimited to expand and enhance its programs for the physically and mentally challenged, and Robert Perry has donated time, energy, and imagination to a number of area nonprofit groups, especially Habitat for Humanity. Tickets for this year’s event are still available ($50 each, with tables of 10 available) and can be ordered by calling (413) 781-8600, via e-mail at [email protected]; or online at www.businesswest.com. The gala is being sponsored by abc40/Fox 6; Baystate Medical Practices; Catuogno Court Reporting/Sten-Tel; Epstein Financial Group; Health New England; Meyers Brothers Kalicka, P.C. ; Royal LLP; and Sarat Ford. Honorees: Tim Brennan, executive director of the Pioneer Valley Planning Commission; Lucia (Lucy) Giuggio-Carvalho, founder of Rays of Hope; Don Kozera, president of Human Resources Unlimited; Robert Perry, retired partner/consultant with Meyers Brothers Kalicka, P.C. ; and Anthony Scott, police chief of the city of Holyoke.